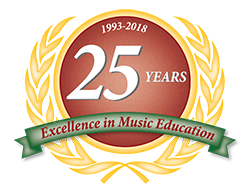 The Music Learning Center’s staff of 25 professional music teachers offer individually tailored lesson programs for most instruments and voice. The MLC office staff can help match each student with an experienced teacher. The Music learning Center considers each of the following before recommending a lesson schedule. An Introductory Lesson is available to each new student at the special rate of just $25. An Introductory Lesson is 30 minutes long and allows for the student and/or parent to see the instructor’s teaching style and approach first hand. The MLC office will then call the student or parent the next day to answer any additional questions they may have. The student can then complete their registration at that time. Call our office to sign up for your introductory lesson now!